The hard surface floors throughout your office endure high volumes of foot traffic, dirt, leaves, water, and heavy furniture being dragged across it – all on a daily basis. In order to keep your floors in a pristine and presentable condition, as well as, safe for all who use them, they must be regularly maintained and cleaned. Keeping up a regular floor-cleaning schedule will also prolong the life of your flooring and help prevent the need for costly floor renovations and replacements. Each type of hard floor covering in your office will have manufacturer recommendations for its maintenance. It’s essential to adhere to these recommendations for the longevity of the floor and for safety purposes. For example, too much water on wooden floors can damage and warp the wood; it’s also always advisable to be cautious when it comes to water on tiled floors, in case there is a danger of water seeping through on to buried wires. Granolithic floors are a safe and good non-slip option for an office and are excellent in washrooms and kitchens, however, you are unable to polish them and so they can become worn quickly – regular floor cleaning is essential to minimise their wear and tear. Avoid using harsh chemicals on natural stones and materials such as granite and marble. From the moment someone steps through the office doors, dirt will be transferred from their shoes to the floor and trodden through the building. To help prevent damage to the hard floors, especially in intense foot traffic areas such as the office entrance, install heavy-duty mats. It is far easier and cheaper to clean a mat, or to replace them, than it is to fix damaged specialist hard floors. Entrance mats are also a safer option to help prevent slips and falls when the floor is wet from the rain, for example. By regularly removing the build-up of dirt and grit, you can help protect the office floors and keep them looking in excellent condition. Daily vacuuming will pick-up the worst of the dirt and weekly mopping will prevent dirt from becoming ingrained into the floor. The longer dirt is left on the floor, the deeper it will be trodden in, staining or even ripping surfaces – depending on the type of flooring installed. It is recommended to carry out deep cleans on hard floors to keep them protected from hard wear, thoroughly sanitised and looking their best. Deep cleans should be carried out every 12 – 16 weeks and every 4 – 6 weeks in high foot traffic areas or hard wearing areas such as kitchens and washrooms. Most hard floors can have stain protection treatments carried out to help prevent damage and permanent discoloration. The obvious prevention method is to clean up any stains and spillages as they occur. For offices without janitorial services, this may not always be possible, however, the quicker a spillages can be cleaned up, the less likely it is that long-term damage will be caused to the floor. Speak to your professional cleaning provider for specific stain removal services for chewing gum, grease and tar. Heavy and inappropriately stored furniture is likely to cause floor damage in the office. Heavy desks and items of furniture can be placed on floor protector pads to help prevent indentations and marks on the floor. Similarly you can install load-bearing castors to the feet of furniture to reduce the damage caused by dragging. With some items of furniture this will not be possible, but all members of staff should be advised on how to best (and safely) lift and move furniture, including chairs. At Swift Office Cleaning Services, we offer specialist hard surface floor maintenance and office cleaning services as part of our janitorial solutions With over 20 years experience of cleaning offices, we understand the importance of quality hard floor cleaning – to not only maintain the high standards of your business premises but also for the health and safety of everyone who comes to work. Speak to a member of the team about your daily office cleaning needs and specialist hard floor cleaning requirements. Call us: (717) 271-6366 or get in touch for a free estimate below. LANCASTER, Pa. - Aug. 29, 2017 - PRLog -- DSC Solutions, a leading provider in facility maintenance services, today announced its next generation quality control platform, DSCLink 2.0. With the initial implementation starting September 1st 2017, DSCLink 2.0 brings together DSC's proprietary divisional cleaning system and its proven quality control procedures to provide customers with a service quality and experience never before seen in the industry. To eradicate the growing inconsistency concerns faced by many companies outsourcing their facility maintenance services, DSC Solutions conducted extensive research and identified 4 key challenges. 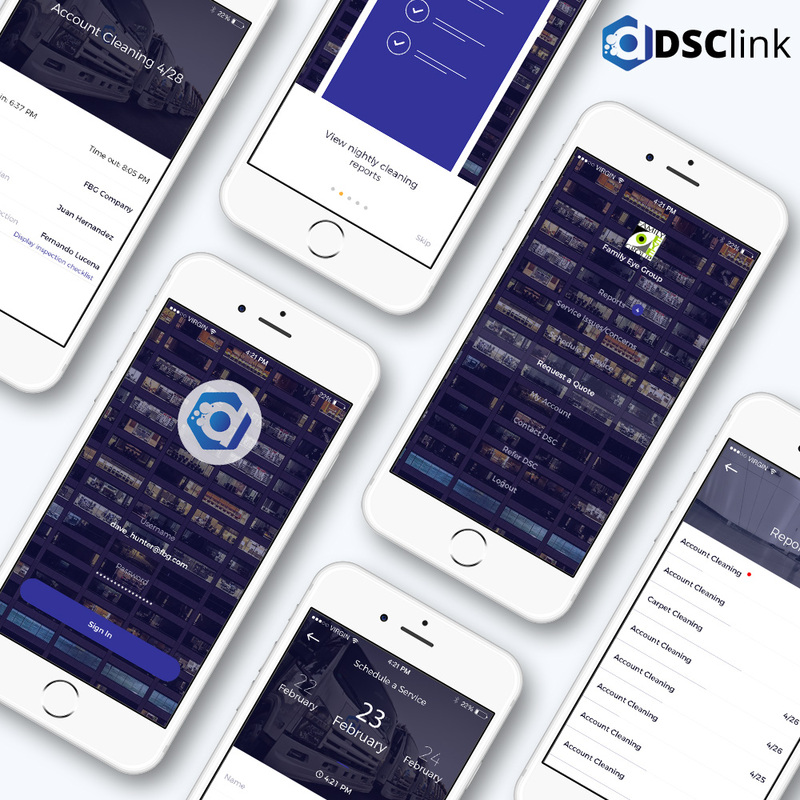 The DSCLink platform was designed to address these specific challenges while seamlessly integrating with the company's proprietary systems and processes. Office workers are more productive and motivated in a clean and tidy environment. Choosing a Janitorial Services Company to keep your Office cleaned to a high standard is a very important decision and must be given serious thought. To help you make this decision we have six tips to help you choose the best Janitorial Contractor. 1. Your Commercial Cleaning Company must be able to work when you need them be it early mornings or evening shifts – they must be flexible enough to fit in with your companies work schedule. Reliability is also essential because if your janitorial company starts and finishes late, this will have a knock on effect on other scheduled events. To ensure standards are maintained a good relationship between the Office Manager and the Office Cleaning Supervisor must be developed to address any potential issues that may arise. 2. The Janitorial Contractor should be able to meet your companies office cleaning requirements that are unique to your premises. The Janitorial contractor should also carry out a thorough assessment of your organisation’s needs and they must accurately quote to ensure your high cleaning standards are being met. To make your life easy select a service provider who can cover the full range of office cleaning services you require. This also means you will only have one point of contact for all your services. 3. Look for a janitorial contractor that offers an account manager that can oversee all cleaning processes and can be the first point of contact if any issues arise. This will ensure that any issues will be dealt with promptly. 4. Before committing to any janitorial contractor, do some research, for example read the testimonials to check if they are a trustworthy and reliable organisation. You can also check their quality of service, legal credentials, Insurance and accreditation are in place too. 5. The office cleaning staff in your premises are representing the janitorial contractors. Each member of their staff needs to be trained to the highest standards for cleaning but also behave in a manner you would expect from your own workforce. A polite and friendly workforce is testimony to the great management skills shown by the cleaning contractor. 6. Health and safety is an essential element that all office cleaning staff must be trained to a very high standard. Health and Safety is crucial when cleaning in offices populated by people and workers on a daily basis. 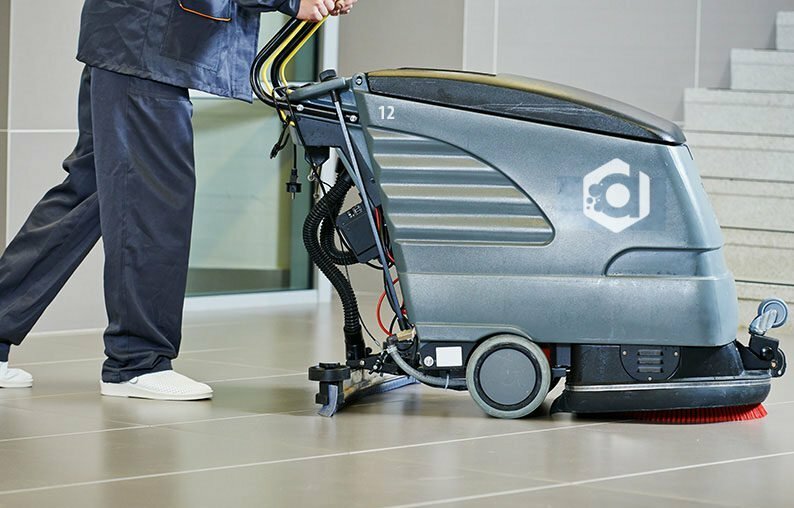 Your janitorial contractor should carry out risk assessments when necessary and ensure staff are up-to-date and fully trained in the latest developments to health and safety legislation and ensure all cleaning equipment is serviced and maintained. DSC Solutions has been offering an extensive range of expert commercial cleaning and facility maintenance services in Lancaster, PA for over 15 years. Call (717) 271-6366 or submit the inquiry form and one of our company representatives will be in touch to discuss your company's office cleaning requirements and organize a site visit. Labor optimization savings relate to having the optimal mix of site based employee and per call services (higher skilled). When this balance is not optimal, excessive costs exist. If an organization has a building maintenance and janitorial staff with inadequate skill sets, in most cases, the organization is spending too much for “per call” services when the work could have been done by site based employees. Conversely, if the facilities organization is overqualified and does not often use these skill sets because the work does not require it, high cost labor is providing work that could be done by a less expensive employee. In some cases, an organization may have two or three groups doing similar activities. In these cases, organizational boundaries prevent an optimal use of labor. For example, at a University, there may be a separate housing maintenance group, a special events set-up group, and the regular facilities department providing similar services. In other cases, organizational boundaries between the custodial staff and the maintenance staff may cause work compartmentalization. One group may have a high volume of work requiring overtime while another group performing similar labor may not have enough work. This is costly. To optimize labor, the right level of multi-skilled labor must be used on site supplemented by per call services who are used for their specialized skills and equipment or added capacity when the workload is beyond the capacity of the site based employees. Our janitorial services and related facility maintenance solutions provide measurable savings by having the most cost-effective mix of on site employees and per call employees. Our vast experience overseeing and managing numerous types and sizes of facilites, allow us to implement process procedures that can be appropriately customized and used at our client sites. Savings from process improvement result in reductions in costs relating to site based labor, subcontracting, procurement of supplies, and utilities. Personnel substitution savings may occur when your employee is transferred to be an outsourced employee working for the service provider. Though there may be savings from reductions in cost from benefits, this is not an area of focus as the outsourced company must be a company that takes great care of their employees by having competitive salaries and benefits. Major personnel substitution savings come from a reduction in the overhead costs of the employee when they work for the service provider. In most cases, service providers’ billing rates are less costly than the total cost of the client employee when overhead costs are included in the comparison. Overhead costs per employee are relevant costs when seeking to reduce costs in the long run. Companies and organizations with high overhead costs recognize this area of savings. For companies, overhead costs can be found in their income statement for the annual period. Divide this by number of employees in the company and an overhead cost per employee can be computed (Don’t include overhead such as R&D and Sales or Marketing costs) in these overhead amounts). Facility or building optimization is developing and maintaining a plan to optimize capital improvement and equipment replacement taking into consideration the total cost of ownership of the facility assets. This program from year to year must be able to optimize cost based on the organization’s cash situation, growth and strategic needs, replacement, and improvement needs. Capital expenditures may be recommended, reviewed, and decided on by payback, net present value, or internal rate of return thresholds determined by the customer working with the service provider. Measurable savings come from making the right capital renewal and improvement decisions based the correct balancing of paybacks subject to the liquidity situation of the client organization. Facility service providers have programs and capabilities to reduce costs for their client organizations. Many of these savings can be accomplished by your organization. However, if your organization does not believe that it has these capabilities, using a facility service provider may be a viable option for you. Contact a DSC Solutions expert today for an in depth analysis of your facility. To speak to one of our representatives about what DSC Solutions can do for your facility, please fill out the form below.